Efforts to get everything ready for the nightly onslaught of over 2500 servicemen had to be as well coordinated as military maneuvers. It took about 300 volunteers each night to operate the Hollywood Canteen. There were hostesses, kitchen volunteers, snack-bar servers and entertainers that volunteered their time to make the Canteen a success. 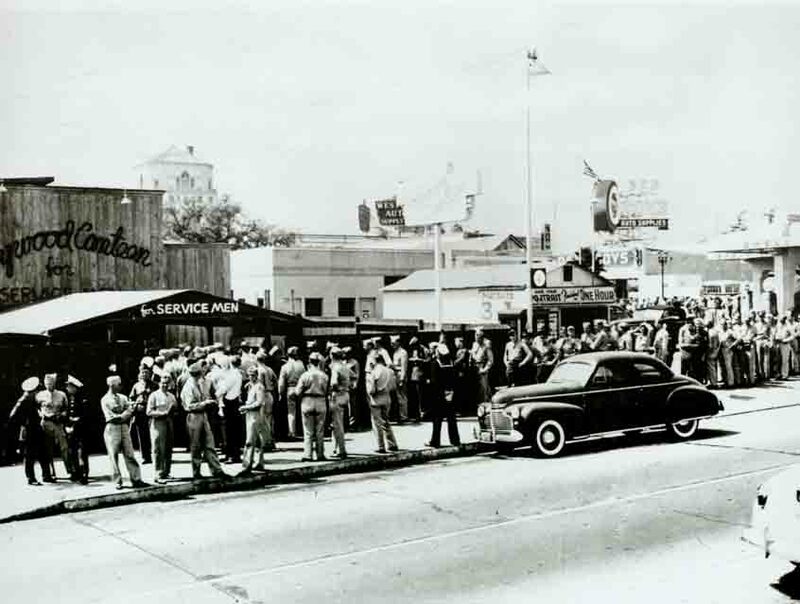 The Hollywood Canteen was located on Cahuenga Ave. 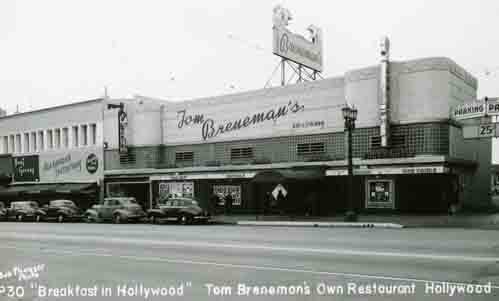 The largest collection of vintage and historical photos of Hollywood restaurants is on the hollywoodphotographs.com website. All of the photos on the website are for sale. Both digital and actual photographs are available. Hollywood "Let's do lunch," can be the beginning or the end - the promise of a deal or the brush off. In a town where it's often said it's not what you know, but who you know, it could be said that more potential entertainment business occurs from noon to 2 p.m. than any other hours of the day as relationships are formed and future opportunities are explored. 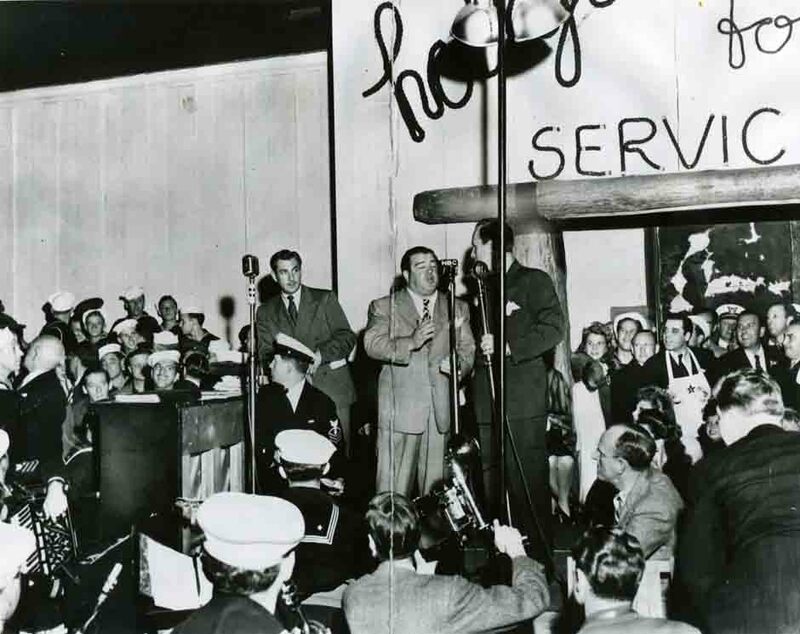 Excitement kept rising as each day brought the opening closer -- not only among the Hollywood Canteen's inner circles, but also within Hollywood at large. A vigorous publicity campaign, headed by publicist, Mack Millar, had been whetting appetites; above all, the boys on the military bases were kept in the know about all things canteen. Now the word was out that several thousand servicemen might show up, along with hordes of civilians hoping to catch glimpses of their favorite movie stars. Of course private citizens could not be admitted inside the canteen. But what about the unnerving prospects of having more servicemen then there was space? These boys who would have traveled so far to be part of the opening festivities must not be disappointed. 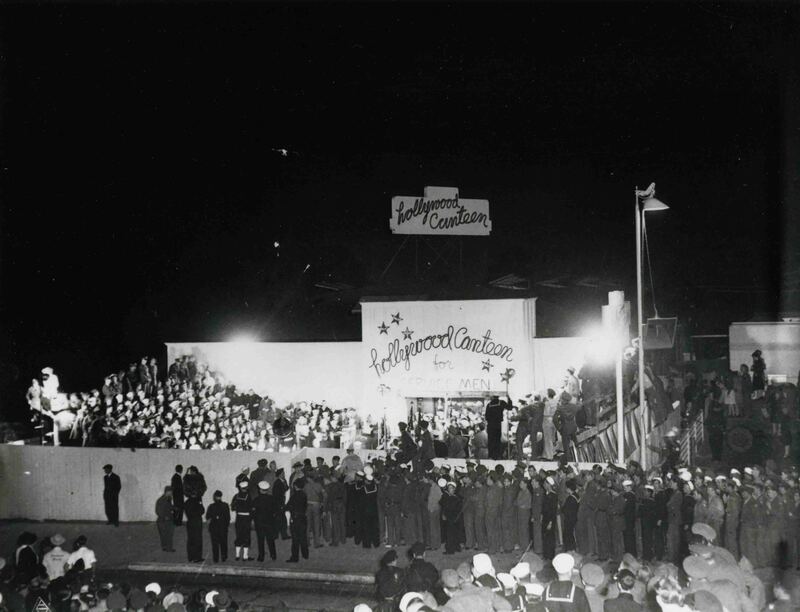 In order to get the Hollywood Canteen opened, all of Hollywood's motion picture craftsman unanimously volunteered their services and immediate cooperation. From plumbers, electricians, carpenters, painters, laborers, prop men and teamsters to art directors, decorators, and cartoonist, everyone pitched in. In addition, thousands of feet of lumber, multiple barrels of nails, gallons of paint, miles of electrical wire, hundreds of yards of concrete, and scores of plumbing fixtures were freely given. 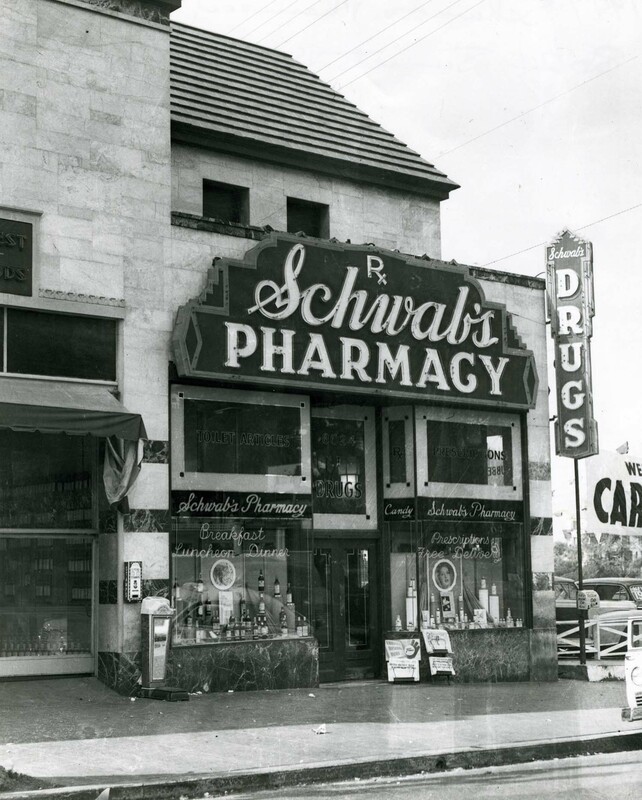 The famous Schwab's Pharmacy wasn't just a drugstore, it was the Hollywood hopeful hangout. 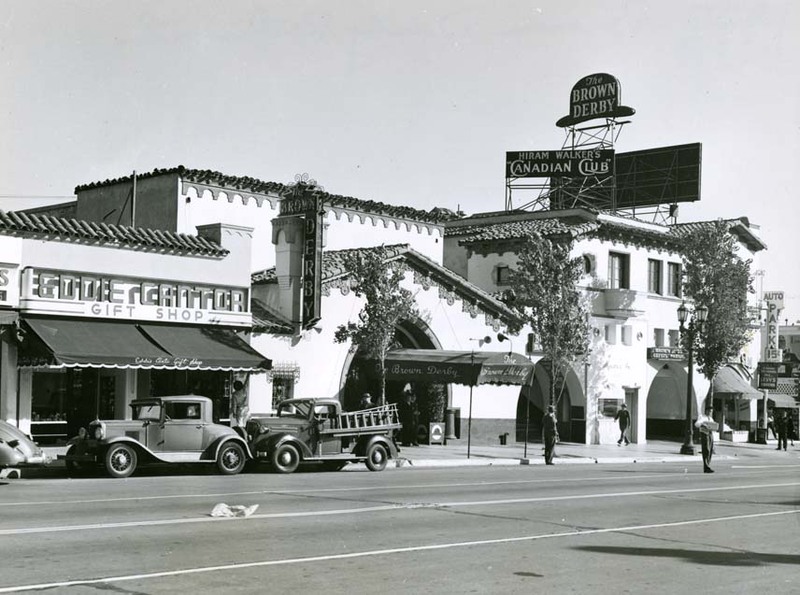 Known throughout the world as the meeting place for many of Hollywood's most famous celebrities, Schwab's pharmacy catered to anyone and everyone. Once it was agreed that Hollywood needed its own Canteen, Bette Davis, John Garfield and Dr. Jules Stein said about the rigorous process of turning their dream into reality. One of the first tasks was to enlist the support of every guild, union, and craft organization affiliated with Hollywood's entertainment industry. They were met with a grand show of confidence as 42 guilds and unions unanimously agreed to sponsor the endeavor; later the number would increase to 46. 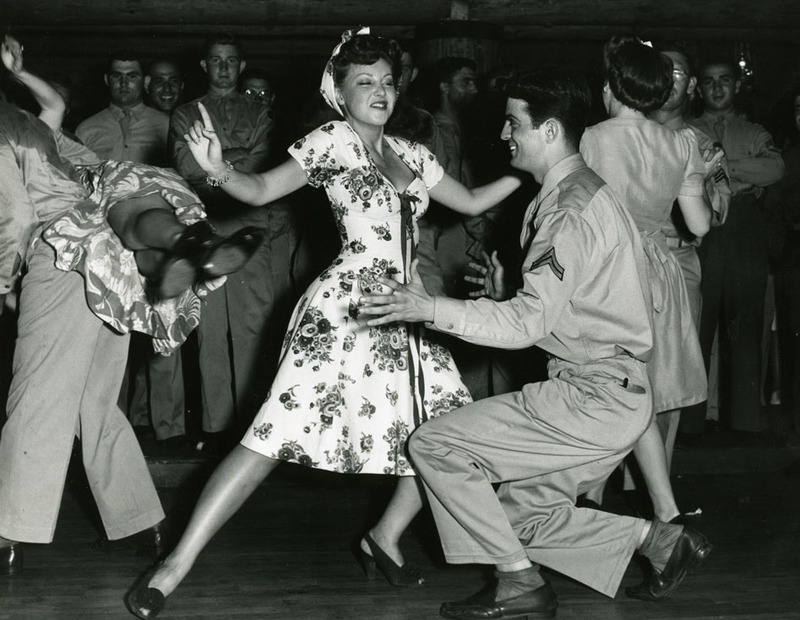 This blog deals with the founding of the Hollywood Canteen and the many photographs that were taken in those early days. There are more that 300 vintage photos of the Hollywood Canteen on the hollywoodphotographs.com website. It was the first full year of America at war, in 1942 found the country singing to Chattanooga Choo Choo, listing to a new radio ministry called “Suspense” and watching Walt Disney's Bambi and Donald Gets Drafted in movie theaters. It brought shortages of metal and leather, and rationing of coffee sugar and gasoline. The Hollywood sign is, unquestionably, the most iconic Hollywood symbol. No other image conveys Hollywood as does the very famous Hollywood sign. 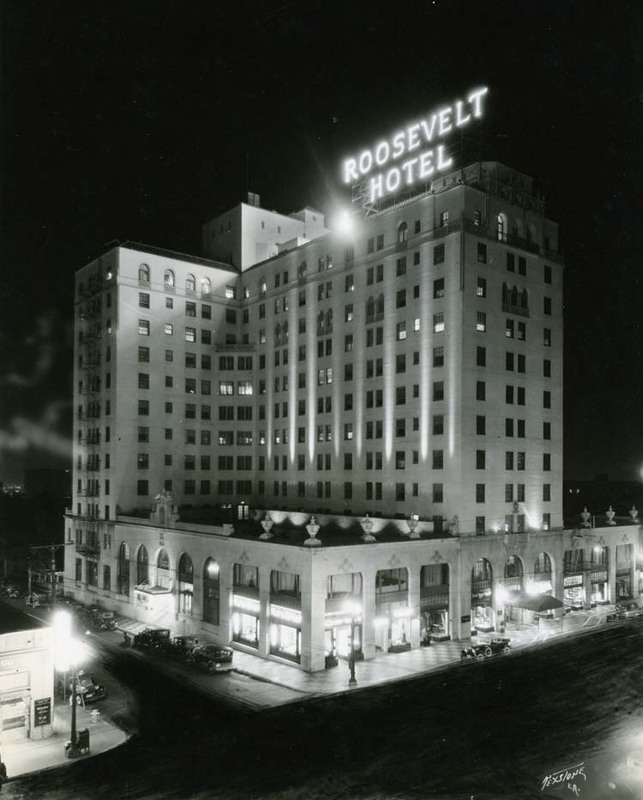 Over the course of more than ninety years, thousands of photographs have been taken of this famous icon. 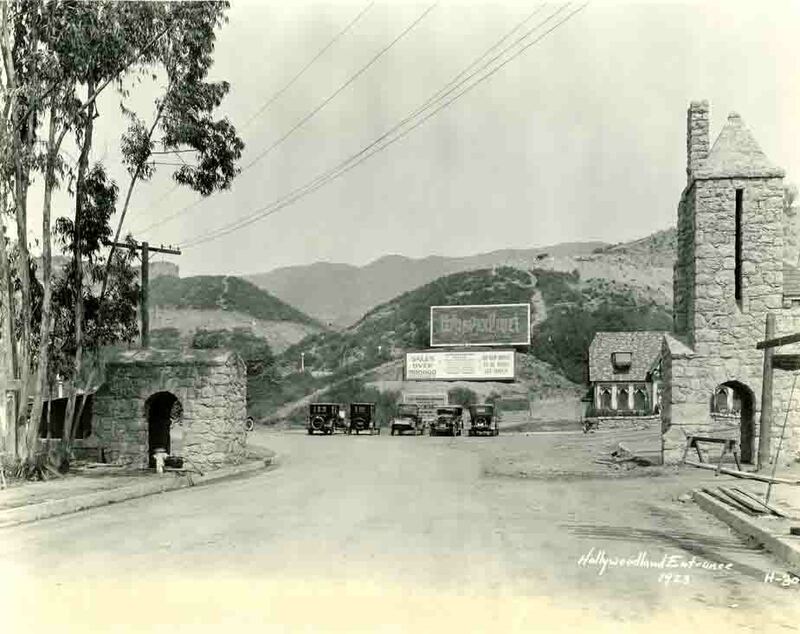 The largest collection of Hollywood sign photos is on the hollywoodphotographs.com website. 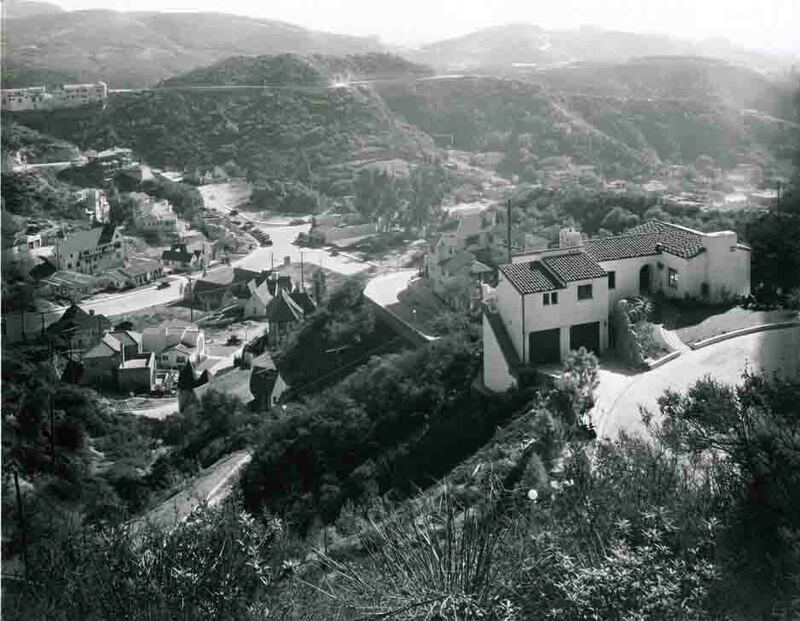 The collection contains more than 1000 Hollywood sign photos, of which 250 are on the website. 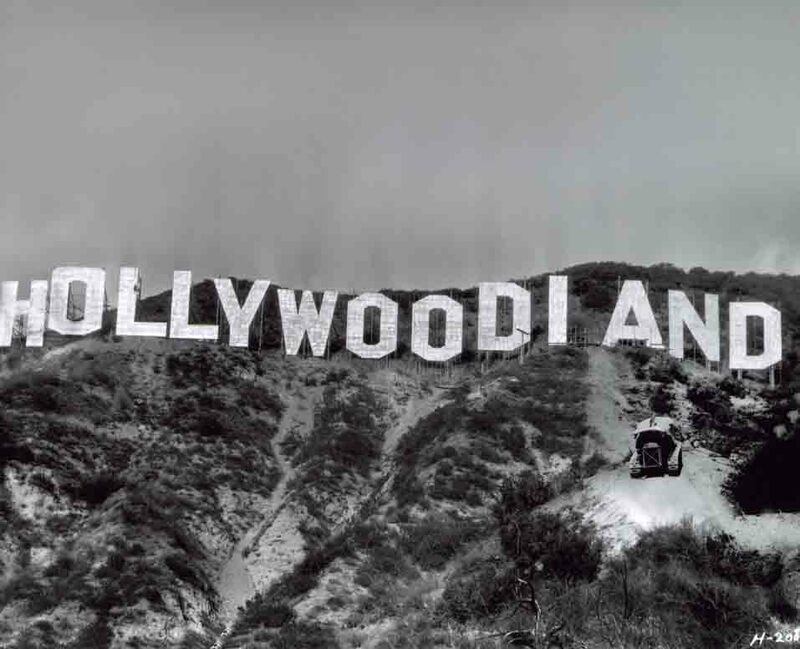 The photos include everything from the construction of the sign, which originally read Hollywoodland, the sign’s dedication, the 1949 damage, the original Hollywood sign, the deterioration of the sign, demolition of the sign, construction of the new sign, and the many alterations that took place beginning in the 1970’s. For the first 50 years, since the Hollywood sign was erected, the sign was never altered or vandalized. Probably the most shocking event that took place was when actress, Peg Entwistle, climbed a ladder to the top of the letter H and jumped off. Hollywood… is a different place for everyone. It’s a place where the past and the present coincide with the real and imagined, where memory and metaphor beckon abstractions and ideals, where dreams and aspirations merge with faith and resignation. It’s a living, changing continent, both physical and imagined. — Paul Zollo. When people around the world see the Hollywood sign on the Mt. Lee hillside, they usually think “glamour, excitement, movies”.